An event scheduled by nature, Palolo make their appearance to spawn in the last quarter of the moon in October and November. Palolo is collected by net and enjoyed as a delicacy. Every year in season, much preparation is given to welcome the palolo to our shores. Handmade nets, canoe carving and collecting flowers are all about building up the momentum for the palolo season. It is one of the greatest natural occurrence enjoyed by local people, in the Samoan island group. It is believed that to make the palolo feel welcomed, it is imperative, that necklaces of fresh fragrant flowers are gathered to wear during palolo harvest. By midnight, palolo spotters begin to test for palolo rise and relate their findings to the chief to prepare for a massive collection and harvest. 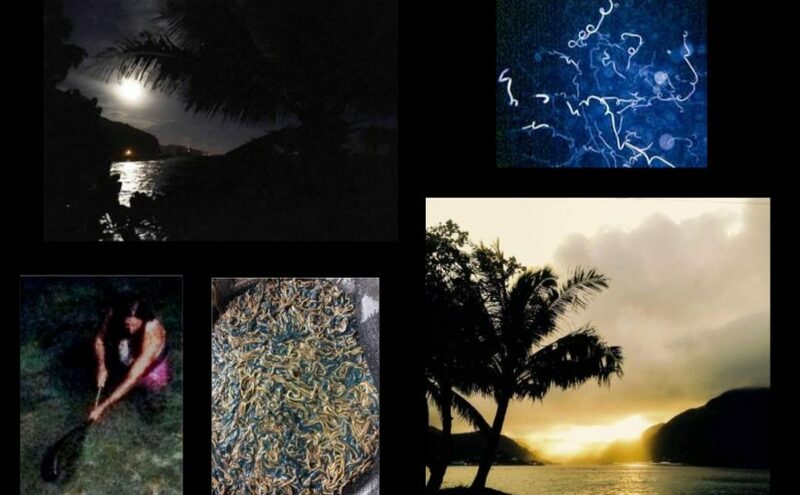 It is well known among the Samoans that by the last quarter moon in October and seven days after full moon, are the perfect combination to yield palolo harvest, with a little sprinkle of rain Midnight palolo fishing is one of the most popular excuses used by locals to skip work the next day, Palolo is the Samoan caviar, that is best eaten raw or cooked in egg dishes. The first “earth contact” for the Apollo 13 Astronauts was Amerika Samoa.